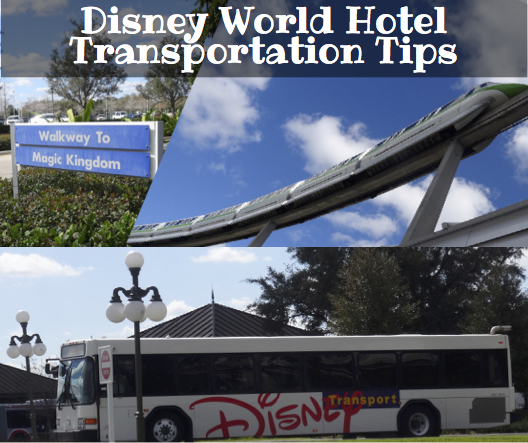 All Disney World Hotels have either bus, boat and/or monorail transportation available to get you to the theme parks and other areas such as the water parks and downtown Disney. Most people think the monorail goes everywhere but that is not the case. Here is a list of the each of the hotels and the transportation they have available to the Disney World theme parks. Water Parks are all reached via Bus transportation from the resorts. And if you are not relishing the thought of walking and average of 13-15 miles a day, then check out our scooters that anyone can rent and use to get around your resort and the theme parks. They cost half the price of renting from the park and all our models fit on the buses, boats and monorails. No special permission needed to use a scooter!